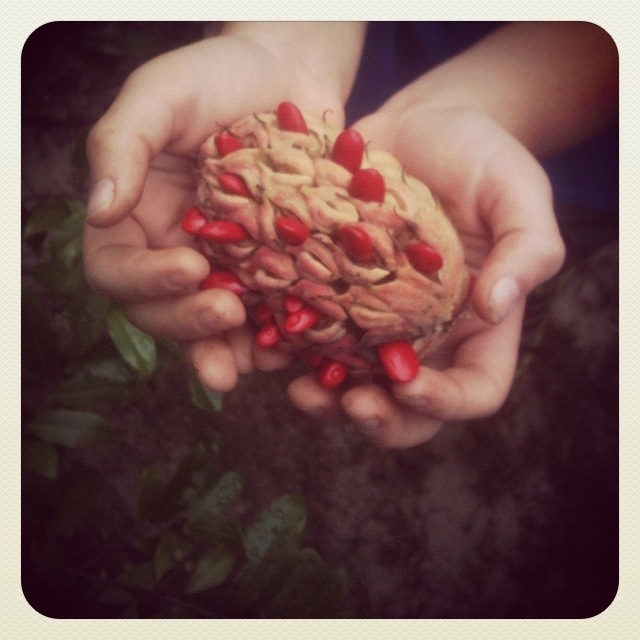 Look what we found at the garden today! The flowers from the magnolia trees on our campus have faded and today we found some seed pods spreading open to reveal bright red berries. 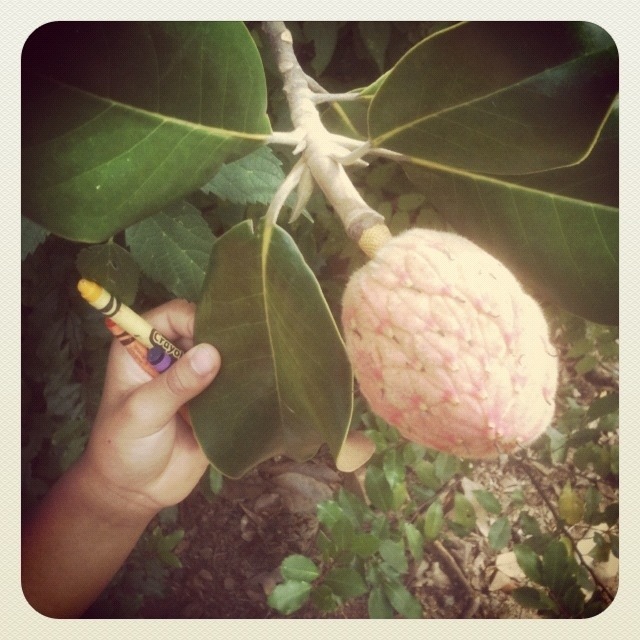 We broke open the berries to find the magnolia seeds. We had a great teachable moment about flowers, berries, and seeds today after we made this discovery!